The cello is the string instrument that has a beautiful sound and is certainly thought to be closest to the human voice in terms of timbre. It has a range capable of playing all the human choir voices including: soprano, alto, tenor and bass. It has a beautiful, warm, songlike tone. Furthermore, it's a great instrument for playing in an ensemble and similarly, as a solo instrument, the cello shines. Are you Looking for Cello lessons in Southampton? For yourself or a family member? We are extremely proud of our team of cello teachers. Each one is a professional tutor, able to work with you to produce a completely personalised plan based around you, your goals and your learning style. Go at your own pace and work with our experienced and high-quality cello teachers to achieve your goals. At MusicTutors.co.uk, take lessons as you want them. You are not tied in to long term commitments, our lessons are as flexible as your schedule. That said if a regular slot is what you’re looking for, our tutor will be able to accommodate you too. All of our tutors sign up to a strict and clear suite of policies around safeguarding and child protection. Everyone has achieved the highest possible level of background check - the enhanced DBS certificate. Cello lessons of high quality and cello lessons you can trust. The key to learning any musical instrument is, of course, practice. For parents, there is often the (quite wise) desire to gauge progress, engagement, and interest before making what can be a substantial purchase. Our advice is to look for the middle way. Without the instrument, the progress can be hard to achieve and the engagement (and enjoyment) can begin to slide. However, the beginner, second hand and hire options available on the market can be ways of balancing the problem with an affordable solution. Check out the links below to our local pages for more information. As with all music, there is much to learn and become accustomed to when learning the cello. Music is the ultimate balance of the mental and the physical. Therefore even though the cello is a physically demanding instrument, general music education can begin as early as birth! By choosing the right size cello, young children can benefit from starting early, however. With your tutor, focus on making a great sound and having fun, rather than attempting challenging pieces which might not be rewarding. Practice for short concentrated periods rather than for a long time. Furthermore, Give yourself a break if you feel your concentration slipping or if you are feeling tired. Above all, practice should be enjoyable, especially at the beginning of your journey. Lastly, Setting yourself small goals and working towards these each day will build a feeling of success and achievement in your playing. Correct technique in terms of posture, bow hold, and finger positioning is vital to securing great tone and progress when playing the cello. Consequently, great tuition and regular practice are the keys to progression. Bow technique is based on the principle of weight. Importantly, use your own body weight to guide the bow and try to avoid uneven pushing motions. Moreover, watch professional cellists and see how the bow glides, how fluent the motion looks. Finally with practice, most importantly lots of practice, you can achieve this fluency too! It's a good idea to record you or your child's playing from the beginning so that progress can be seen, heard and most importantly celebrated! It is important to point out that everyone and anyone can learn to play. When you deal with music, you also learn other essential skills. For instance, your ability to concentrate, to listen and to work with others will undoubtedly improve alongside your musical skills! We are a constantly expanding team of high-quality, professional and trusted tutors. Below, you can search our tutors near you! See our Southampton based guitar tutors here! See our wonderful piano tutors here! See our team of Bass tutors here! Here is our range of violin tutors in Southampton! At MusicTutors, we are always on hand, connecting students with their perfect tutor. 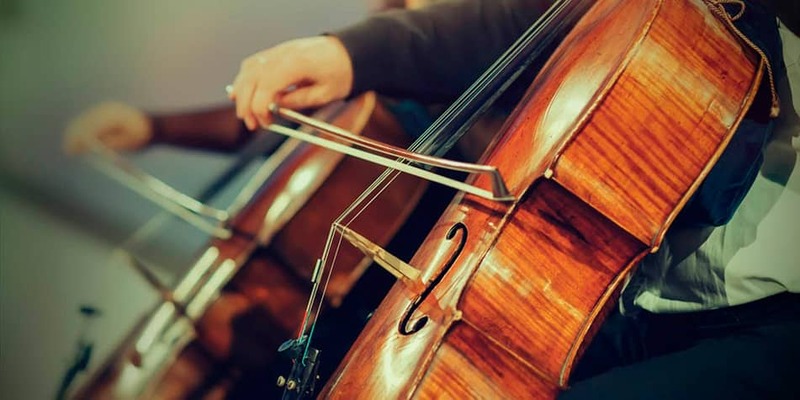 If you have any questions about cello lessons, call us on 07946125613 or via email at [email protected] The office team are all professional musicians and educators who love giving great service. Get in touch today! 07946125613 Or send us a mail to [email protected]. We can't wait to hear from you!